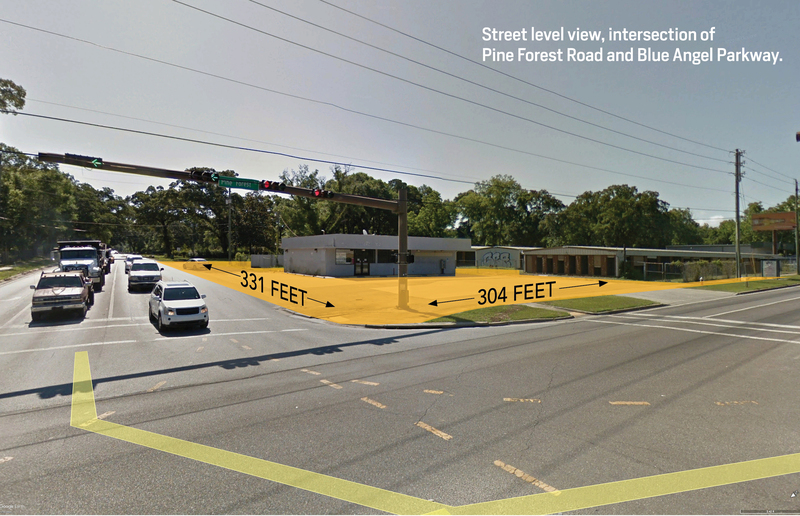 Corner development Lot: 2.3 acres at the signalized intersection of Blue Angel Parkway and Pine Forest Road (Florida Highway 297). J. Key Properties will consider a multi-tenant retail strip center, free-standing retail, or ground leases. Approximately 38,759 people live within a 3 mile radius of this site and 33,100 vehicles pass this corner everyday.